I mentioned in my last post how I really desire to take my blog to the next level. I want to become a credible reader, be able to earn some money through my blog, and really gain some readability so that perhaps, one day in the future, my name will be more well known in the cyber world and it might be easier to get a book published. That's the idea anyway. Thank the good Lord for a husband who likes to save money like me and who looooves to learn new things. I showed him a blog design from etsy that I really liked and that I could have customized to my own liking. It costs about $40 though and truth be told, I really don't want to pay for that. So, me being the non-researcher, and hubby being the researcher, he started looking into writing html code (which is confusing and ridiculous and "ain't nobody got time for that") but he came across something else that does not really require code. I know some bloggers that use WordPress and let me tell you, it is SOOOO much more than just a blogger site. They offer free or REALLY cheap web hosting, domain names, etc. It's supposedly easily customizable without having to write code or copy and paste code. Huge and well-known companies use WordPress for their blogs. So, essentially, I'm planning on getting my own domain for my blog, and doing a total revamp. I'll no longer be using Blogger but I will still share posts via Facebook for my faithful readers. You are part of the reason I desire to do this. We're still in the beginning stages and doing some research but hubby has already told me not to worry, that he will create me something amazing. I totally believe him. I'll let you know when we're rolling out the new site. I am so excited. While it may cost a couple dollars a month for web hosting, we've talked it over and hubby said that if it was important to me, then we should go for it. I love having a supportive husband who understands my dreams and wants to help me pursue them. I told him he would have to be my blog manager, in charge of design and layout. He can totally do it. Deep inside, he's a computer geek. Perhaps, if he becomes well-versed in this sort of thing, it would make him marketable to design companies. Who knows?! I have no idea how long this whole process will take and I will not go public until I have it exactly the way I want it. So, be patient, faithful friends and readers. Change is on the way...and it's going to be great! I cannot tell you how many times throughout the week, or even the day, that I will have a conversation with someone or read something or hear someone say something and I think, "Oh, I should blog about that." But the truth remains that if I were to blog every time I thought that, I would be blogging constantly, never leaving time for anything else. That's just not realistic. So, this particular post is a bit random. It will serve as my "anything" post. I'll number each topic so there is some semblance of organization. 1. I really want to take my blog to the next level. I follow several different blogs that have me coveting how neat and organized everything looks. I want that sort of streamline, organized, yet funky feel to my blog. I want it to be colorful and vibrant but I want it to be user-friendly. Would I like to earn money from my blog? Sure. I really am not sure how to go about doing that. The truth of the matter is that I am not a good researcher. I really just want someone to show me what to do. Maybe I should have my hubby research it for me and then show me what to do. He's the researcher in the relationship. I'd like to have different sections to my blog to cover each topic that I tend to write about: marriage, motherhood, my faith, teaching. I thought about starting a whole new blog about teaching during the summer and chronicling my journey to becoming the most effective teacher I can be but perhaps, if I can get my blog organized like I want to, I can just have a tab for teaching blogs. Then I could have a tab for blogs about faith, blogs about marriage and relationships, blogs about motherhood, and blogs about healthy living. I can see it in my mind. I just don't know how to go about bringing it to fruition. Someone up for the challenge of teaching me? 2. I have a confession to make: I ate icecream. I have another confession: I didn't regret it. I haven't craved sweets in a while but with the whole household being sick, I just wanted something cold and sweet. So, against my better judgement, I bought a tub of chocolate chip cookie dough ice cream from Walgreens. And, I liked it. It's gone now and I only ate 2 bowls over the weekend. I think I feel better about myself because my bowls were significantly smaller than my husband's (sorry, babe, I'm throwing you under the bus here). But, the good thing is that I don't want anymore. I ate it. I liked it. It satisfied that craving and I'm back on track. I made my protein smoothie this morning, although it didn't taste quite right because my taste buds are off due to this cold. I also made some absolutely to die for delicious no bake energy bites last night. They are chock full of wonderful healthy ingredients like flax seed and oats and chia seeds and honey and peanut butter and none of the icky ingredents like flour or egg or butter. They are sooo good. I read on this lady's blog that they tasted like those deliciously wonderful yet horribly unhealthy for you no bake cookies. I didn't believe her. Until I tasted one. Oh. My. Goodness. She was almost right. They taste BETTER! I could have eaten the whole bowl...but that would have defeated the purpose. 4. I purchased some plastic bins for our fridge this weekend. I'm really trying to get more organized and I saw these on pinterest, they were pretty inexpensive at Wal-Mart, and so I bought a few. I really like them. I can put similar items in them and just pull out the bin by the convenient handle in front and easily see what I've got, rather than trying to peer around cans and bottles and cartons to see what's in the back. It makes the inside look better too. I've created a new board on my pinterest called "From Pinterest to Reality" so I can keep track of recipes I've tried, school related items I've made or implemented in the classroom, organizational tips I've used, etc. It also inspires me to do more and try more of the things I've found on there so I can add more to that board. My next step is containers for things like flour, pasta, cereals, etc. so that I can start getting rid of the boxes and making my pantry look organized and neat. It will be a process and will take some time but I figure if I can buy one or two containers per month or so, and slowly start doing it, then it won't seem like such a daunting task. 5. I already have a mental list of the things I'd like to accomplish this summer regarding the house and school, as well as making sure I spend quality time with my boys. I want to touch up paint in the house, plant some flower beds, and perhaps get started on a vegetable/herb garden. For school, that list will be miles long. I just hope I have the motivation to do it all. I want hubby to build me some shelves for books, I want to make small cushioned seats out of milk crates, I want to organize my classroom library by genre, work on some novel units, get myself well-versed in the Common Core, and get ready to have an incredible year next year. I'm trying to stay with this year and keep my head in the game for this year but it's so hard when I have so many ideas that I really cannot implement until next year. I've created a wishlist on TeachersPayTeachers for some things that I really want but need a bit of extra money for. Sooo many ideas!!!! So, friends, that's what has been on my mind lately. Nothing earth shattering or life changing. I'll blog later about some other more intriguing matters and more about what the Lord has been teaching me. Just as my blog is a work in progress, so am I. Oh, maybe I'll change my URL again...workinprogress.blogspot.com....I'm going to see if that's available. The last few days have been utterly exhausting...and probably 5 times that for my hubby. I came back home Wednesday morning after going to school and getting plans together for my sub because I felt like doody. I was supposed to go home and rest but hubs was bit by the "let's get rid of stuff" bug and I have a really hard time relaxing and doing nothing while he's working. So for the first couple hours we sifted through stuff in our kitchen cabinets and on top of our counter and managed to clean out a few cabinets, load up a "get rid of" box and cleared off our counters to create more space. Our kitchen is now the cleanest it has been...ever. He then took Gabe off to his mom's so that I could rest...theoretically. I ended up vacuuming and then grading papers. I didn't actually take a nap until after he had returned. I felt better the next morning and went to work. But during the day, both my boys were growing progressively worse. By the evening, hubs felt awful and Gabe was completely congested. He fussed throughout the night and hubby also had a hard time staying asleep. By Friday evening, when I got home, Gabe looked terrible. Constantly running nose, fever off and on, watery eyes, and completely exhausted since naps were pretty well out of the question. We set him up after a relaxing bath with some soft pillows, blankets, and some "Turtle's Tale" and he seemed content. We loaded him up with Motrin, some Hyland's cough meds, and Hyland's cold tablets, lathered his feet with some Vapor Rub and put his socks on, and put him to bed. Except for what I think was a nightmare shortly after we put him down, he slept pretty well throughout the night. He seemed to feel better yesterday morning and I thought perhaps we were all on the mend but he was just as bad last night. He did manage to sleep around the clock though which I know was good for him. No church for us today though, and we'll be taking him to the doctor tomorrow. He seems to feel really good for a bit after he's had his combination of cold tablets, cough syrup, and Motrin but then he tends to hit a wall of exhaustion. It's been tough to see him like that because I just want to take it away. Our usually vibrant, energetic, active, busy boy has turned into an exhausted, content to lay and watch TV, sporadically whiny, sick little boy. I've enjoyed the extra snuggles but don't like the reason behind them. We did do something really exciting yesterday though. We found an awesome deal on a stove on Craigslist. The stove that came with our house had only two working burners, the oven was about 30 degrees off, and pans never sat level on the coils, We've wanted a black flat top stove for some time but we're definitely not going to charge it and the best deals we could find were never under $500. But yesterday I found a guy who was selling a nice black flat top Kenmore range for $200. And thanks to our tax refund, we had it. He even delivered it and helped hubby set it up in the kitchen! It looks awesome! It breaks up more of the white and makes our clean and organized kitchen look even cleaner. We've already paid off one credit card which frees up funds to start on our debt snowball plan, we've got our emergency fund in place, and money set aside to pay back some of our family that helped us out a while ago. We were going to use some of our refund to purchase a pull behind bike trailer to put Gabe in but we decided that the oven would be a better and wiser investment. I couldn't stop smiling when they set it up. It looks so good with our black fridge. It looks almost new. We really have decided that paying full price for things now is rather ridiculous. I think the thing I love most about the oven is the fact we got such a good deal on it. The next step will be a black over the range microwave to replace the white one and a black dishwasher to replace the white one. We're in no hurry though. As we have the money and find good deals, we'll do it. But they both work fine and we're content with what we have. For now, we're trying to concentrate on getting our boy better as well as ourselves. I really wanted to be there for the service this morning because I'm really getting a lot out of the sermon series our Pastor is doing but I really don't want to make anyone else sick. So just pray for us, especially our little one. We want our happy, active little boy back. Yesterday's (or the day before, not quite sure now) verse of the day on my YouVersion Bible app was 1 Peter 3:15: "But sanctify the Lord God[a] in your hearts, and always be ready to give a defense to everyone who asks you a reason for the hope that is in you..."
I think sometimes we forget this vital part of the Christian life...giving a reason for the hope that we have. So many Christians walk around defeated. If someone asked them why they were a Christian, their answer might be a simple, "I just am" or "I was raised that way." They don't have a true REASON. I was listening to the radio last week on my way to work early one morning. The Morning Cruise from the JoyFM gives small devotionals around 6:30 in the morning that I love to listen to if I can get out of the house early enough. Bill Martin was discussing this very verse and how important it is for us to be able to give the reason for our hope. He quoted a guy who said something to the effect that if we are not able to give a reason for our hope, then in 4 generations, unbelief will creep in. We must not only give a reason for our belief to unbelievers, but to our children as well. If we don't give our children reasons for why we believe what we believe, then they will just assume. If they in turn just assume and don't give reasons to their children, their children will begin to doubt, and ultimately their children's children will not believe. See the pattern there? Of course, this isn't 100% of the time. God works in mysterious ways and will break generational barriers to reach people but the idea makes sense. So...what's your reason? In this case, your "reason" can be synonymous with your testimony. All Christ followers have a testimony...a story of how they came to know the living Christ. If you don't have one, perhaps it's time to reevaluate your "Christianity." We should all be able to give the reason why we believe...why we have joy in the midst of suffering...why we have hope in the midst of pain and death...why we have peace in the midst of personal strife...why we are different. My prayer is that I would be different. I saw a quote on pinterest a while back that said, "Something is wrong when our lives make sense to unbelievers." I don't want that. I don't want my life to make sense to those that don't follow after Christ. I want my life to look odd and out of place from the rest of the world. I want people to scratch their heads and say, "Something's different about that girl. Her life just doesn't make sense. Why does she do the things she does?" 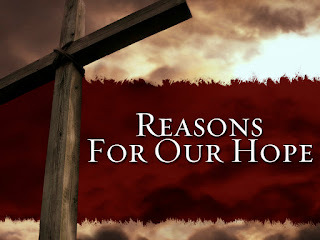 And I want my reason to be..."Because I love the Lord and want to follow Him. Because of the cross He endured for me. Because I want to die to myself daily so that I can become more like Him." Let's be real...I have a loooong way to go. But I will continue to strive and press on toward the goal. When I stand before my Creator, and He asks me why I should be allowed into His Holy presence in the kingdom, I want to be ready...with my REASON! Never in a million years would I have ever thought that I would be writing a post like this. It's not me. I'm quite sure I have always prided myself on my love of meat. When I set out on this new journey to health, I was trying to choose healthier options. I'm not sure I thought those healthier options would end up meaning no meat for me...but that is the course it has taken, the path on which I have turned. A month and a half ago, I said that I would just eat more veggies, swear off sugary drinks and food, and eat meat sparingly. I didn't actually think I could go without meat itself. But, I learned I can. I'm to the point now that almost any meat, or poultry for that matter, just does not look good to me. That, to me, is stranger than just saying I'm a vegetarian...which I still don't quite feel comfortable saying. At what point can I officially and unequivocally say that I am, in fact, a vegetarian? Let's be real, I've had turkey on my subs at Subway (loaded down with veggies of course) and I had chicken in my mom's buffalo chicken dip she made for Gabe's party. Other than that though, I haven't had it. And meat/poultry has not entered my body in over a week. Friday night, hubby and I decided to go out for a late V-Day (with Gabe too of course). We decided on Outback because we haven't been there in a loooong while and I wanted to try some place different. Ever since I started my health journey, I've had fun challenging myself at some of my favorite places to find healthier options. I figured it would be a grand challenge to go to a "Steakhouse" and find healthy veggie options there. It was more difficult but I finally settled on a salad with spinach, walnuts, feta cheese, and green apples tossed in a balsamic vinaigrette. It did come with grilled chicken which I did not touch (gave to hubby-it did not go to waste). The salad was delicious, although I was sick later that night. Maybe too much feta? Yesterday, my mother-in-law made spaghetti in a meat sauce. I found myself actually picking out the chunks of meat. This is where a low radar goes off in my brain that something has gone awry. I used to gaze strangely at people who did that sort of thing, staring at them like they had 4 heads and 8 eyeballs. What sort of person picks out the meat from their spaghetti with meat sauce? A vegetarian...that's who. I cannot fathom how I could possibly become a vegetarian. It does not make sense for this chicken chowing, pepperoni pizza loving, bacon eating, picky eater to choose veggies over meat. The only possible explanation is an alien invasion absolute miracle of God. He has completely shifted my food desires and twisted my taste buds. Even my husband doesn't recognize my food choices. I'm eating things I would ordinarily turn my nose up at. I'm sure my faithful readers will soon say, "Enough of the health posts already," but I am still constantly amazed at the fact that I am still eating healthy and not feeling burnt out. Surely by now, I should have said, "Screw it! Order a pizza!" But I haven't. Usually I would have baked myself a pan of brownies or a tin of Jiffy "blueberry" muffins to ease the feeling of failing at another "diet." That's just it though. This isn't a diet. This is a true lifestyle change. I will never go back to eating the junk I used to eat. Without much exercise at all, I am down 15 pounds and I fit into a pair of jeans yesterday that I have not fit into since before pregnancy. I'm not updating the weight loss as a "look at me!" sort of thing. I'm doing it so that those who may be struggling right now will say, "Well, goodness! If SHE can do it, I can do it." Because trust me if I, of all people, can, you can. You don't have to become a vegetarian. I'm not going to judge you for eating meat. I may give a disgusted look as I did with hubby's burger last week at Beef O Brady's while I munched on my veggie wrap but it's just facial reflexes. It's not you. I know that the craving for sweets is strong for some and I am feeling rather blessed that God has decided to take that desire away from me but if you're craving sweets and don't want to go off track, try the healthy desserts from one of my favorite blogs: www.chocolatecoveredkatie.com She has amazingly wonderful HEALTHY desserts. I've tried a few and been very thrilled, as has hubby. Some of her ingredients sound crazy, but trust me! She is my go-to blog for healthy sweet treats. With all this said, I don't feel like I can justly call myself a full vegetarian yet. 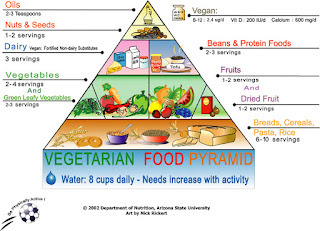 As the title suggests: I am becoming a vegetarian. I am certain there is a minimum amount of time that meat has to not enter your body before you can truly say you are a vegetarian. Any vegetarians out there want to help me on that matter? I mean, it makes sense. Anyway, I'm sorry if you're tired of the "healthy journey" update posts but I forewarn you: there will be more to come. If you aren't interested in reading my chronicle of health, don't read. I mean, the former me would be over reading these by now so I'm not judging you if you're tired of them...just giving you fair warning that they are going to keep coming. As I fast from facebook and dig more into God's Word, I feel like He is making my will stronger in the food area, an area I have struggled with my ENTIRE life and I want to share that journey with my readers. Thanks for always being encouraging. Another post may come today regarding today's YouVersion "Verse of the Day" 1 Peter 3:15. It reminded me of something I heard on the radio the other day and I'd like to share. So be on the look out! A non health related blog is on the way, friends! 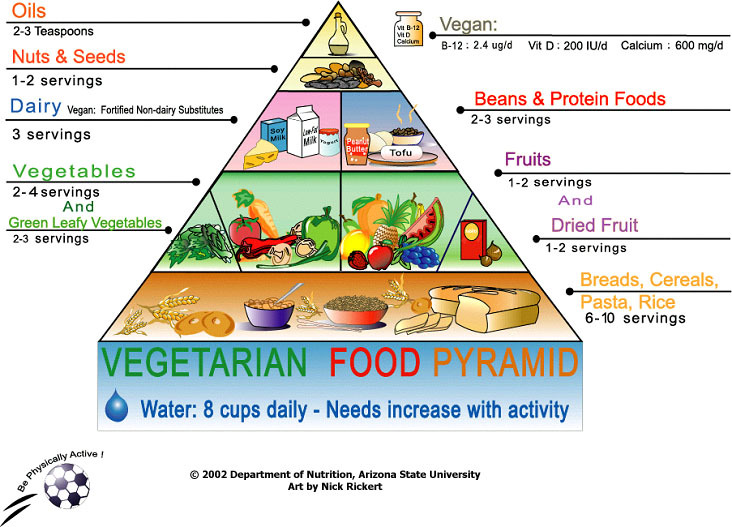 My new food pyramid!!! Trying to eat this way daily! It's now a month and a half into the year (and into my healthy lifestyle change) and 10 days into my facebook fast. Now I must admit I have had to break the fast to create a facebook event for the Thirty-One Gifts party I'm going to host for my mom. But, I was able to simply get on, create, and log off. I didn't stay and read posts or look at pictures or any of the other mundane stuff I used to do on there. I actually deleted facebook off of my phone for the time being so that I wouldn't be tempted to check it. The only time I've gotten on other than that is to simply post the blog link. My lifestyle change you ask? Well, I've lost 13 pounds since the beginning of the year - all by changing the way I eat. I am now at my pre-pregnancy weight and plan to keep shedding the pounds. I've known for a few weeks that I am going to have to start exercising because the weight loss will stall eventually. I've just lacked true motivation. Well, friends, that is no more. Our church announced that we will be sponsoring an event called "Traffic Jam" in April to help raise awareness of and funds to stop human trafficking. During this event, we will be asking 10 people to pledge 10 dollars for us to walk 10 miles. Ten miles is a lot...I've only ever walked 3 and am pretty beat afterward so I realized if I wanted to do this, I had to start now. Last night we went to the lake that is 3 miles in circumference (Lake Hollingsworth). I walked and pushed Gabe in the stroller and hubby rode his bike next to me. He has to ride. His poor feet won't make it. It was a lovely walk that we almost cancelled due to the dark clouds rolling in but we went anyway and we made it around in just under an hour (and it didn't start raining until our drive home). We plan to start doing that 3 days a week and on the other days, we want to do some strength training with each other in the evenings. With a tangible goal in mind, a goal bigger than myself, I know I can do this! VICTORY! At school, teachers wear uniforms too. We have to wear black, navy, or khaki bottoms with a white, navy, or red polo with the school's star emblem on it. It doesn't bother me but yesteday I decided to wear a skirt to mix things up. I've gone the whole year only wearing pants or capris. Even the kids commented on how nice I looked in my skirt. But, what I didn't realize until I got home last night was that I wasn't hurting. What do I mean? Well, I wore skirts more last year and every day I did I was reminded by the end why I hated skirts...my inner thighs would rub together and cause chafing...TMI? Sorry...you have to get the background. Anyway, yesterday, there was zero chafing. Even without exercising, I've lost enough that even my thighs don't rub together anymore. I was ecstatic! You might not understand that if you've never had that issue...but if you have, you get it! VICTORY! As hubby and I walked/rode last night, we talked about how we really feel like this is our year. Our year to get healthy and lose the weight we've gained over the years. Our year to beat debt, save money, and give more. Our year to hunger and thirst after the things of God and become more and more rooted in His word. It's our year. I mentioned that I don't ever see myself going back to eating the way I used to. This is truly my new lifestyle. I don't crave soda, icecream, greasy pizza, fast food, or any of that stuff like I used to. Give me a wrap or sandwich loaded with veggies over a burger any day. I truly feel like a different person. It's the year of shedding: shedding pounds, shedding debt, shedding excess and distractions. Last year around this time I did a 10 day fast from facebook and being 10 days in now, I'm no where near ready to quit. I'm in the word every evening before bed and if I can catch the hubby before he drifts off, I read it out loud to him and then we discuss our thoughts, questions, etc. It's been a really nice time of devotion for us and a time I've really appreciated. There's something special about reading the word with your husband. If you don't already, I encourage you to start. Today is Valentine's Day but to me, it's just another day to show my hubby I love him. I don't need a special day. Every day is special because I have a very special man. Even so, while we won't go out, we'll try to make today even a bit more special. I can't really explain how I feel right now - I just feel - - - good. About everything. Life is just good. With every small victory, I feel closer to my ultimate goals. I'm just gonna keep on keepin' on! Last week, our Pastor started a series called "Fuel the Change" that focuses on the Beatitudes and personal change. We are 2 weeks in and boy, oh boy, the convictions just keep on comin'. Here's the thing I love about our Pastor: he doesn't sugarcoat...and he preaches the Word - straight up! His focus today was on the 4th and 5th beatitudes. "Blessed are those who hunger and thirst for righteousness for they shall be filled. Blessed are the merciful, for they shall obtain mercy." So let's look at the first for a second..."hunger and thirst for righteousness." What does that mean or even look like? It means that in the same way we would hunger and thirst for food or water, we are to hunger and thirst after God and His righteousness. Righteousness can be described as "approval of God; deemed right by God after His examination; or God's right way of living." How many of us can say that we seek God's approval for EVERYTHING we do....or run everything through the God filter before partaking in certain events or allowing ourselves to be entertained by certain media? And let me be clear...I'm asking myself these same questions. I've done (and still do) many things in my life without first running it through the "God-filter" (watching certain movies, listening to certain songs, hanging out with certain people, saying certain things, the list goes on). One of the things he said this morning was this: "If we desired God as much as we desire some of our worldly things, how much more would we bear the fruits of the Spirit?" Well, how's that for a one-two punch? That is my prayer, though...that I would desire God and His righteousness above all else; that I would desire less of what I have and MORE of what He has for me. Oh, Jesus, let it be so. The second one he focused on was "blessed are the merciful." Just as we have been shown mercy by our Heavenly Father, we are to show mercy to others. He described mercy as "Compassion in Action." Mercy is not passive; it is active. How do we show mercy? Well, that can look many different ways. He gave us three general ways that we can show mercy: through physical acts, through our attitudes, and spiritually. Physical acts of mercy can be done through meeting needs. Yesterday we came face to face with compassion and mercy. We stopped by Subway for lunch on our way home from running errands and as we were leaving the parking lot we saw an older black gentleman standing with a sign that said, "Lost everything." We don't give to everyone with a sign but something about this man struck us. I reached in my pocket and pulled out the few bills I got as change and gave them to him. We began to drive off when I think Jason said, "Do you think he's hungry?" Since Subway was running a special on footlongs, I bought 2 footlongs so we would have lunch today too. At first we thought about giving him half but then we felt like that was not enough. After all, we had another whole footlong we could share. We turned around and drove by him again. He looked a bit surprised to see the same faces but when I held out the footlong sub to him and asked if he was hungry, he lit up a bit. Then he said the words we will never forget - "Oh, somebody loves me." That experience broke my hubby's heart. I don't think I'd ever seen him moved over something like that but he experienced the compassion of God. Oh, that we would see everyone in the same way! That's our prayer...that we would be able to see all people through the compassionate and merciful eyes of the Lord. As we talked after the service today, we discussed what that righteousness and mercy would look like for us. We decided that we would really like to start a food pantry in our own garage. We've talked about it before but we know we can do it. We have an amazing church family that would back us 100% and would most likely donate a ton of food. Our garage is large enough to separate into one section of storage for us, a work station for him, a laundry station for me, and a food pantry for others. I've already been out there looking at our space and how we could make it all work. I want to do this! I'm beyond wanting to even sell the stuff out there. Let's just give it away & make room! We'd also like to start keeping nonperishable meal items in our car so when we drive by someone in need, we always have something to give. The one regret we have from yesterday is not getting out and talking with that man about the One who loves him most. We want to be able to get out and talk with these people and get to know them and what their immediate needs are. We want to tell them about the awesome saving love of a Savior that just wants to give them eternal life. First, let me say that I really do love my job. I love my kids and the people I work with. I love seeing the light in kids' eyes when they "get it" and I actually enjoy the teaching aspect. It's all the other junk that gets me. The grading, the paperwork, the copies, the paperwork, the changes every 5 seconds, the paperwork! AHHHH! I had a sort of meltdown last night. I wasn't in tears or anything...I just became so frustrated thinking about everything I needed to get done and want to get done at work that I kinda lost my marbles for a few minutes. Bless my hubby's heart. Sometimes he doesn't know what to do with me. I really feel like a brand new teacher all over again this year. You'd think by now I'd have it down....but I don't. I'm constantly asking my co-worker, teammate, and neighbor how to do this or that...it's a good thing she's so patient. I have such a desire to be a "highly effective" (educator-speak for those that don't know) teacher - fancy terminology for one of those awesome teachers that just "has it." Sometimes, though, I wonder if I picked the right profession. I confided in my hubby last night that in order to be as great as I want to be, I have to stay later, work harder, and do a little sacrificing. But, I feel guilty if I have to stay late...and not because he makes me feel that way. He totally understands. I guess it's normal for working moms to feel guilty. Any other working mamas feel me on that? I feel like if I spend more time at school, then I have to sacrifice time with my husband and son and that time is very precious to me. I will say I picked the perfect career for being a working mom - weekends off, frequent holidays, summer break. But don't let the time off fool you. Teachers work their butts off during the year (and many during the summer). Honestly, I'm starting to get nervous about FCAT. I've never really been that nervous. I know I'm teaching what they need to be successful but maybe I'm nervous because I actually care this year. It sounds bad, I know, but the last few years I have been in survival mode - just trying to make it day to day - but now, I'm slowly getting out of that phase and trying to jump into the mastery phase - mastering the art of being a teacher. It really is an art - it's like a delicate dance. We have so much constantly thrown our way and we just have to catch it and keep steppin'. So with my facebook and games fast, my set pinterest limits (seriously need those limits), and my balance of time with family and with the Lord, I am trying my best to become more organized...at home AND at school. When we first returned from winter break and I talked with my kids about the importance of making goals, I mentioned that one of my long term goals is to become more organized. Those little rascals all turned and looked at my desk! I just laughed and said, "Well, obviously, it's a work in progress." And it is. I'm getting there. You can actually see the surface of my desk at work now - that's a definite step in the right direction. 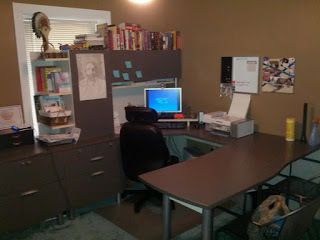 And today, my oh so wonderful hubby cleaned out and organized our home office. We have such an awesome space in our office...it was just covered in papers, bills, books, magazines and other randomness that the entire surface was unusable. He organized it all so that I would have a place to work - grade papers, do lesson plans, etc. if I didn't want to be at school but still needed space to get stuff done. He's so awesome! So I must say, I'm feeling much better than I was last night. I've gotten stuff done and I'm feeling good. I totally meant to write part of this blog yesterday but by the time I actually got everything done around the house I wanted to get done and read my Bible, it was after 9:00 and I was beat. We borrowed our Pastor's truck when I got home yesterday to take the tables and chairs back to the church since we used them for Gabe's party. Then we came home and I cooked a delicious meal: a zucchini, black bean, and rice skillet. I did the dishes while Gabe and daddy watched Sesame Street. Now mind you, my wonderful hubby actually got us caught up on laundry yesterday, cleaned and straightened his side of the bed, had the clothes FOLDED (his mama helped of course), and started cleaning out the office. The kitchen was mostly clean when I got home AND he had moved the unused car in the driveway to the other side so that I could have my parking spot back. I was a happy gal. Yesterday marked 7 years to the day since I met my husband. On a cold February 4th, back in 2006, I met him for the first time in the parking lot of the church I started attending. My mom loves to tell the story of me calling her that night to tell her I met my husband. He didn't know it of course but I sure did. We spent 3 months afterward building a friendship before we became "official." And, of course, the rest is history. When I told him it had been 7 years, he said, "The perfect number." I love him. Thinking about my life with him over the last 7 years had me in a sort of nostalgic mood...could be too that we just celebrated our boy's 2nd birthday with a party and even though he's been 2 for a few weeks, it really hit me Saturday. I mean, two sounds so much older than one. When I got home yesterday, I asked Gabe if he had a good day with daddy and he proclaimed, "I happy!" It's the little things that get me. I thought, Yup, me too. I'm simply happy. I am married to a caring, selfless man who takes care of our son, fixes things around the house without complaint, constantly reminds me of my worth, and makes me feel like a queen. He can cook too! With a father like that as a role model, I can't imagine our son could turn out too bad. I came across a blog post by a blogger I follow frequently. She wrote about the 10 Ways to Respect Your Husband. They were awesome reminders of what every wife should already be doing. My favorite was her number 6 - "Be respectful to him even in his absence." It's so easy for women to get together and "vent" about their men - - - but that is disrespectful to him. I try my hardest to never get caught up in that. As a matter of fact, I often brag about him to my peers. I am ready to defend him at a moment's notice if need be. Honestly, I don't feel the need to vent. He is an amazing man that I feel so incredibly blessed to call my hubby. I wrote on our anniversary about a month ago about how we don't fight. This topic has come up in my conversations with more than one person and I've heard for years that fighting or arguing is "healthy" in a relationship or that if you don't fight, you're not being honest with each other. And, for a time, in my few prior relationships, I probably believed that. But not now...and it's not what the Bible teaches either. That is a worldly concept that is widely believed: fighting makes a marriage stronger. But nowhere in the description of love in 1st Corinthians does it say, "Love delights itself in a good fight." Nowhere in Ephesians when Paul is describing how husbands and wives should act toward one another does it say, "Have a good fight regularly." I'm sort of learning that in order to be more like Christ, I should probably just do the opposite of the world. Seems to work in most cases. I just look at what is common in the world and do the exact opposite...within reason. More and more, I am looking to the Scripture and to what Christ Himself said about certain issues. He didn't bring an easy Word, friends. The Christian life is not and should not be easy. It is not for the faint of heart. When you become a Christian, a CHRIST FOLLOWER, you have to count the cost. One cannot TRY too hard to be a Christian...how can you try too hard to follow the One that saved you? It doesn't even make sense. Christ died for me....so I will do what it takes to follow Him...no matter how many times I stumble and fall. I'm grateful to be married to a man who feels the same way. I believe we challenge each other in our personal walks with Christ...something I appreciate tremendously. Honestly, I could not ask for more. I'm thankful for the last 7 years of knowing that wonderful man of mine and am looking forward to many more.